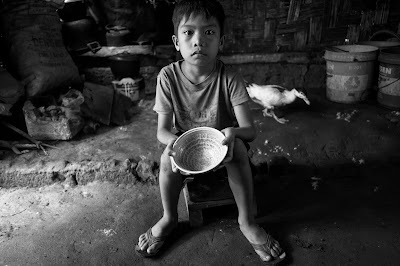 An estimated seven million children across the Philippines experience hunger and malnutrition. This public health problem is largely driven by inadequate access to nutritious food, lack of nutrition education, and poor health and sanitation services. In relation to this, the United for Healthier Kids (U4HK) advocacy led by Nestlé Philippines hosted a forum on malnutrition at Green Sun in Makati City that highlighted the need for sustained interventions in providing access to food and strengthening nutrition education among kids, their parents, teachers, and community leaders. The forum featured Senator Grace Poe, Director Mario Capanzana of the Food and Nutrition Research Institute, and Dr. Adela Jamorabo-Ruiz of the Nutritionist-Dieticians Association of the Philippines, who all shed light on the multiple facets of malnutrition. Moreover, the panelists pointed out the need for concerted multi-sectoral efforts to ensure that no Filipino child goes hungry and that they all get adequate amounts of nutrients. 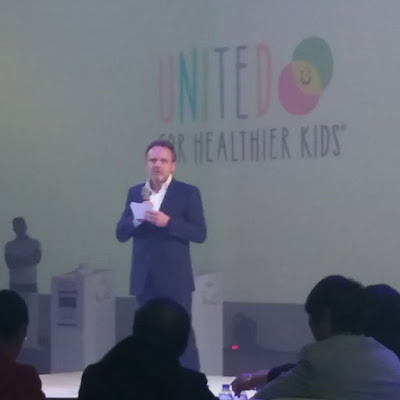 U4HK also recognizes the power of the private sector in helping address malnutrition. “A challenge as big as malnutrition is not the responsibility of just one sector of society. Businesses have the resources and technical knowledge to help address malnutrition,” added Mercado. “The possibilities for interventions from the private sector are vast—from employee engagement and collaboration with communities to reimagining more inclusive supply chains and supporting technological innovations to address access to food and the quality of food on the dining tables of Filipino families. After malnutrition forum, the U4HK portal, a repository site designed to inspire and move young Filipinos to share, donate or volunteer for programs of non-government organizations addressing malnutrition in different communities throughout the Philippines was unveiled. “For the Philippines to combat malnutrition and achieve its full potential, we need to adopt a more systemic approach to reducing hunger and malnutrition. We need to bring together organizations with expertise in various subjects, from access to food, nutrition education, water, sanitation, and hygiene, to nutrition in disaster. We need to harness the energy and ideas of young people, who have demonstrated their will and capacity to shape the Philippines into a country whose people are able to lead prosperous and healthy lives,” said Nestlé Philippines Chairman and CEO Jacques Reber. The U4HK portal will include a malnutrition heat map that shows the severity of the problem across the Philippines. Clicking on a particular region will feature the percentage of malnourished kids in the area, along with the activities that are being done to fight malnutrition. Housed on the volunteer page would also be a list of initiatives that the U4HK partners plan to implement over the next couple of months as well as details on how people can donate, volunteer, or share. Nestle’s brand ambassadors next shared their insights on the challenge of malnutrition to spur action among the Filipino youth. Actor Gerald Anderson immersed himself by consuming meals that are most common among Filipino families, such as boiled saba. Such dishes are the primary sources of nutrients of Filipino families. “Everybody knows that malnutrition among children is a serious problem, but people to tend to put it aside because it has persisted for the longest time. Sa atin kasi, basta nakakakain at nabubusog, ok na ‘yon. Hindi natin iniisip kung sapat ba ang nutrisyong nakukuha natin mula sa ating kinakain. If we show everyone the real effect of malnutrition, doon magbubukas ang mga puso’t isipan ng mga tao to do something about the problem at mas marami pa tayong mga batang matutulungan na magkaroon ng mas magandang kinabukasan. There is so much we can do to help them,” said TV host and volleyball player Gretchen Ho. Launched in 2014, U4HK is a multi-sectorial advocacy focused on creating public awareness to drive action toward addressing malnutrition among elementary schoolkids.The advocacy tackles the need to provide these children with adequate access to nutritious food, nutrition education, nutrition in distaster, safe drinking water and sanitation, and proper hygiene. 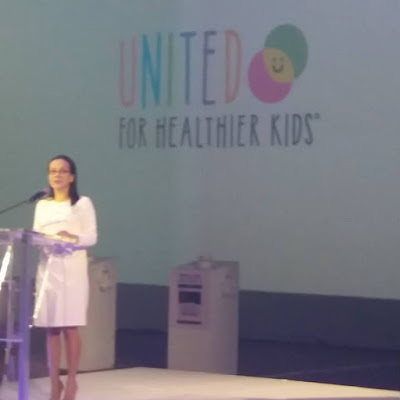 The event was capped with a video message from Vice-President Leni Robredo, who shared her confidence on what the country can achieve if all sectors of society work together to address malnutrition. “We believe that the first freedom that has to be won in our country is the freedom from hunger. As part of our advocacy, we have been focusing on maternal, neo-natal, and child health and nutrition, especially in the prevention of stunting. Ultimately, we must focus on the nutrition of our children, for they are the key to our future. This would be a good chance for you to make the first step in making our country better for all Filipinos,” Vice-President Robredo stated. Visit www.u4hk.ph/hangryabouthunger to learn more about U4HK and its partners.